Friday, January 18th, 2019. Posted by Owen Lewis. 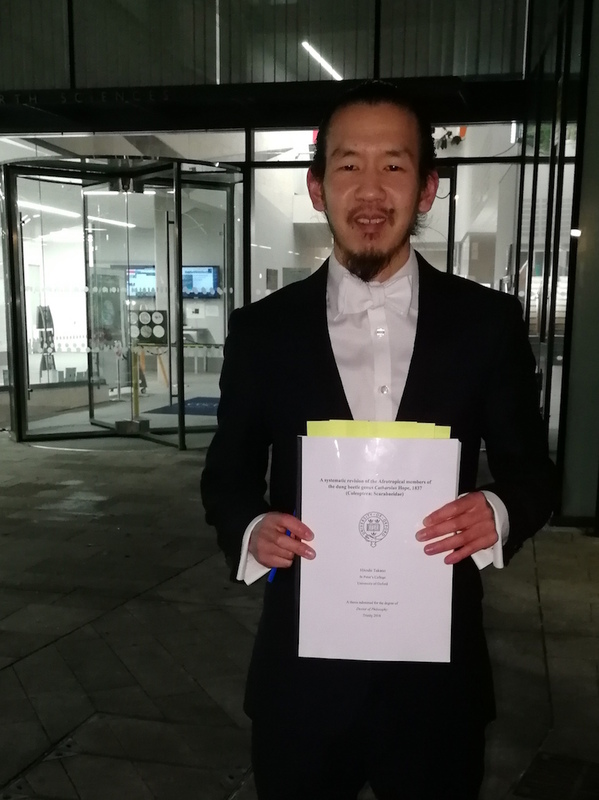 Many congratulations to Hitoshi Takano who has passed his viva. His thesis was “A systematic revision of the Afrotropical members of the dung beetle genus Catharsius Hope, 1837 (Coleoptera: Scarabaeidae)”. Thanks to Roger Benson (Earth Sciences) and Dave Bilton (Plymouth) for examining.